Mail Boxes Etc. declined to name the company formation agent renting mail box 11, citing a policy of client confidentiality. Happily for curious readers, this blogger has no such constraints or inhibitions: directly or indirectly, the gentleman in control of the mailbox at Office 11, 43 Bedford Street, is Ian Taylor of Queensland, currently sort-of disqualified from acting as a UK director or company agent, and formerly a key player in the fabled GT Group. Readers might think an entire Special Report by Reuters on a single London mailbox, and a few words from me briefly identifying its controlling agent, would exhaust the subject. Not so! GT Group is a New Zealand company agent that, in its day, provided shell companies to the Sinaloa drug cartel (investigators found a gargantuan $378 Billion of suspect transactions), Hezbollah arms smugglers (35 tons of arms from North Korea), and the Russian fraud/murder mob documented in the Magnitsky case ($250Mn and around 5 corpses, so far: I find I lose count). Here’s a high level timeline of some subsequent events. In 2011, the New Zealand authorities closed down the local Taylor company registration businesses and struck off around 2,000 NZ shell companies that they had had created (bar a disastrous straggler or two). Kyrgyzstan’s largest bank, AsiaUniversalBank (AUB), was nationalised and found by the authorities to be insolvent after a revolution overthrew the regime of President Bakiyev in April 2010. The new Kyrgyz authorities allege that AUB was engaged in large-scale money laundering and an independent audit by a multinational firm supports these claims. However, the bank’s former management deny the allegations and claim that the new regime illegally expropriated AUB because it was a successful business and that their indictments by the new authorities are politically motivated. To get beyond these contradictory claims, Global Witness investigated dozens of companies that held accounts at AUB, many registered in the UK, and found significant indicators that suggest money laundering: hundreds of millions of dollars seemed to be moving through their accounts while they were not engaged in any real business activity. In just two and a half years it appears that a staggering US$1.2 billion passed through the AUB accounts of just three UK-registered companies, yet they never filed any account information at all before dissolving. Two further UK companies appear to have had millions going through their AUB accounts while declaring to the UK’s corporate registry that they were dormant, a breach of the Companies Act. One of those two companies, Vestengold LLP, which, Global Witness says, transferred some $41.3Mn while “dormant”, has an old address of Mailboxes Etc, used by Ian Taylor: Office 11, 456-458 Strand, London, WC2R 0DZ. Most strikingly, since February 2011, when there was a snazzy opening, this address has belonged to a Co-Op food shop, rather than a maildrop operation. For an insight into the state of UK company registration and oversight, reflect that Craftbiz LLP managed to set up shop at that no-longer-maildrop address, three months after the Co-Op opened. Dozens more pre-existing Limited Companies and LLPs, not all Taylor’s, soldiered on there, into 2012 and 2013, without anyone noticing. Indeed, as of late 2016, the non-maildropness of 456-458 Strand still doesn’t seem to bother, one bit, another Taylor creation, Timeson Technology LLP, which filed its latest “accounts” just a few weeks ago. …Ian Taylor of GT Group Ltd is listed as the director and shareholder of two UK-registered companies, Malvin Commodities Ltd and Aqvenor Ltd, which feature on the bank transfer documents as entities transacting with other companies that held accounts at AUB. Three other UK companies believed by the Kyrgyz authorities to have made suspicious transactions (Avatroniks LLP, Mastequest LLP, Vestengold LLP) and another company that features on the “AUB” transfer document (Sofis Untek LLP) also have links to the GT Group. Malvin Commodities Ltd, Aqvenor Ltd, Avatroniks LLP, Mastequest LLP and Sofis Untek LLP have another address provided by Mailboxes Etc: Office 21, 8 Shepherd Market, London, UK, W1J 7JY. This time it’s a live branch, at least; praise be. 2013: More recent news, about the companies at Office 11, 43 Bedford Street, Reuters’ subject, has a familiar tang. The Organised Crime and Corruption Reporting Project reports on the skulduggery involved in the seizure of control of an Ukrainian TV station, TVI. Central to it, British shell companies created by Taylor, including Invest Info One, and Invest Rating Two, both at Office 11, 43 Bedford Street. Sadly for Taylor’s client, Alexander Altman, courts in London later saw through the shell company games and found that Altman had breached a freezing order (last para here), which landed him an 18 month prison sentence , in absentia, for contempt. Le président déchu adorait les montres suisses. Et la carte de crédit utilisée à Gstaad ainsi que d’autres achats plus importants encore intéressent désormais les enquêteurs: ces transactions pourraient les conduire vers une partie de la fortune de Viktor Ianoukovitch cachée à l’étranger. Un autre document, portant sur l’achat d’un yacht, est plus prometteur encore. Il a miraculeusement échappé à la broyeuse. Il s’agit d’un acte de vente d’un yacht Princess P72 pour 2 050 000 euros. Daté du 13 janvier 2013, le contrat indique que 20% du prix d’achat doivent être versés sur un compte chez Credit Suisse à Zurich, au moins trois jours avant la livraison, prévue le 18 mars. Ce compte appartient au vendeur, la société-écran Mriya Marine Ltd, fondée il y a huit ans sur l’atoll de Majuro aux îles Marshall. L’acheteur agissant au profit du clan Ianoukovitch, lui, se cache derrière une société basée à Londres nommée Fineberg Limited. Elle-même est détenue par une autre firme offshore, Vewir SA, apparemment basée à Vanuatu… autre paradis fiscal du Pacifique. But that’s just the start of it. In all Nashigroshi.org alleges some 18 connections between well-connected, mostly Yanukovich-era Ukrainians, and companies at Office 11, 43 Bedford Street, such as Milimex Trade Co. Limited, said to be a vehicle of Vladimir Kazadoj, head of Ukraine’s largest arms producer, Ukroboronexport. 2015, April: Ian Richard Taylor, a British ‘lawyer’ with an address at 4 Victoria Drive, Pacific Pines, Queensland, Australia, 4211, and date of birth 18 June 1977, is disqualified from acting as a UK company director (and UK company agent) for six years, for conduct while acting as director of Berkely Warbeck Ltd, a land banking scam that cost its investors £2.7Mn. The Ian Taylor who is a New Zealander with an address at 4 Victoria Drive, Pacific Pines, Queensland, Australia, 4211 and a birth month of May 1977. Call me a conspiracy theorist if you will, but it strikes me that these (and a sprinkling of others) could quite easily all be the same Ian Taylor, with two passports, multiple addresses, and a flexible attitude to his birthday. It clearly doesn’t strike Companies House that way. Providing false or misleading information to Companies House (such as bogus birth dates) is an offence under the Companies Act, but first, there’s the tricky business of determining who, exactly, committed it. Since Companies House doesn’t do identity verification, attributing registration offences to specific individuals is hard-to-impossible. For example, every year, a few hundred individuals protest that they have been made UK company directors without their consent. Right now in Russia, directors of great big oil companies are wondering why they are directors of apparent UK subsidiaries that they have nothing to do with. Meanwhile Lord Ashcroft is said to be tackling Companies House about the address records of 100 UK LLP corporate designated members that seem to have put his Belize Bank’s address on their registration details but aren’t, Ashcroft’s spokesmen say, registered there at all. Whodunnit? For another example, a recent multimillion fraud (here) involved phantom UK companies with untraceable (and presumably, nonexistent) directors. In practice, since 100+ potential different Companies Act breaches, by 3,800,000 live UK companies, are apparently policed, in the first instance, by a team of four, the question of who committed this type of offence may not arise all that often, because the offences seem pretty unlikely to be detected in the first place. 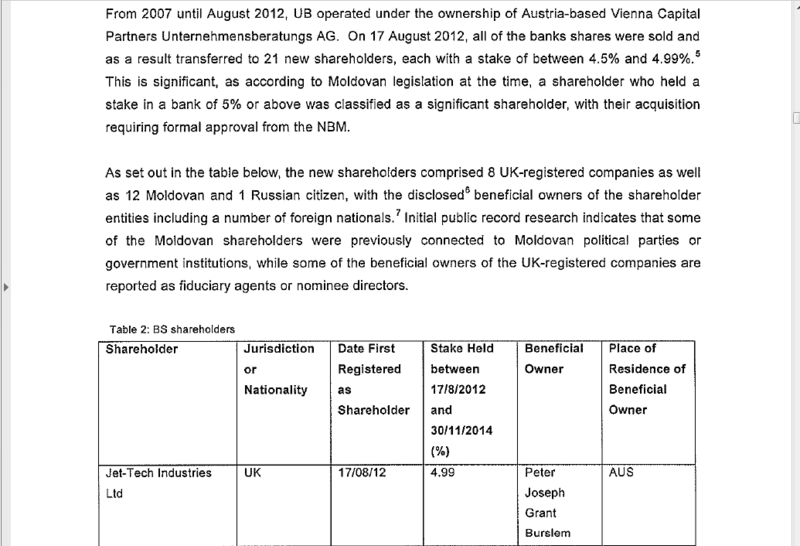 It certainly doesn’t look as if UK Companies House has much idea of what Ian Taylor’s been up to and who he is. Mind you, even the man himself seems to be a pretty hazy about his age, nationality and birthday. Perhaps a record of his passport number would help him, and Companies House, narrow it down a bit. There’s precedent: the Hong Kong Company Register is able to require and record ID at registration time, without crippling the local economy to any noticeable extent. But Companies House doggedly doesn’t do that. Despite the imposingly complex and utterly bogus UK AML framework, UK Company Agents aren’t monitored effectively either. Only months after a popular uprising in February 2014 ended the corrupt rule of Ukraine’s pro-Russian president Viktor Yanukovych, his successor Petro Poroshenko appointed to top law-enforcement positions men linked to a money-laundering system similar to that which operated under Yanukovych. Yanukovych’s tenure was notorious for the operation of the massive so-called ‘State Programme’ money-laundering system, used to evade taxes and customs, as well as to move illicit funds out of the country. The system was curated by the then-prosecutor general Viktor Psonka and tax minister Oleksandr Klimenko, whose joint flight out of the country after the ousting of Yanukovych has become legendary after being recorded on CCTV: the two men muscled their way through the resistance of border guards to reach a private jet waiting to whisk them off to Russia. The victory of the Euromaidan protest movement in February saw a ‘civilian’ catapulted into the post of prosecutor general for the first time in Ukrainian history – Oleh Mahnitsky, a practicing criminal lawyer. Yet just four months later, the newly elected Poroshenko fired Mahnitsky and appointed his own allies as chief prosecutor and first deputy chief prosecutor. The new men, Vitaly Yarema and Mykola Gerasimyuk, were career officers in the prosecutor’s office and criminal police, and, according to a cache of around 1GB of documents including internal emails seen by bne IntelliNews, they were allied with an integrated money-laundering system similar to that which operated under Yanukovych. Deep in the documentation of this new money laundering system, one finds spurious invoices bearing the name of FCG DEVELOPMENT LTD, UK company number 07443029, of Office 11, 43 Bedford Street. That concludes the back story. How big is the underlying Taylor mess? According to OpenCorporates, Office 11, 43 Bedford Street has been or is the maildrop for 425 Limited Companies, 360 Limited Liability Partnerships and 5 Limited Partnerships. Many of the Limited Companies and LLPs have been dissolved, but right now, OpenCorporates reports that there are still 332 live entities using that one London mailbox. Remembering that just one Taylor company laundered $600mn, that’s a daunting total. Centrum Offices, 38 Queen Street, Glasgow, G1 3DX (100+ Scottish Limited Partnerships registered in the last two years, Nov 2016 example registered by Abigail Kalopong). 24 Arcadia Ave, London, United Kingdom, N3 2JU, where companies directed by Taylor associate Leah Toureleo of Vanuatu were still being registered as late as March 2016. That’s not necessarily exhaustive, but already tots up to around 250 live Limited Liability Partnerships, 110 Limited Partnerships (most of which are Scottish), and 334 Limited Companies. In short, Taylor has around 700 readily identifiable companies tucked away at maildrops and company agents across the UK. That is not guaranteed to be exhaustive, but based on the form of the folk who buy up Taylor’s ready-made anonymous companies and hook them up to reckless banks, it’s enough to launder unimaginable billions. Noting that Reuters couldn’t find any company names on display at at 43 Bedford Street, one wonders how many of the Limited Companies and LLPs display their registered names at these Taylor addresses, especially the maildrops. Not displaying the company and LLPs names at the registered address would be an offence under various Companies Acts and Regulations, but we already know how serious the UK Government is about enforcing those. So far, we have fingered identity-non-verification by Companies House, non-scrutiny of the register for agent-like activity by the likes of Leah Toureleo, meaningless AML supervision, and pervasively anorexic-to-nonexistent law enforcement as factors that allow Taylor-like registration activities to flourish in the UK. One should add crap software to the list: until recently, it’s been very difficult to perform, in the UK, the sort of address-based investigation that’s a breeze in NZ, thanks to NZ’s well-designed company register software. The analyzability of UK company data has improved lately, partly thanks to the Companies House Beta, but mostly because OpenCorporates supports online address based queries. Porous primary legislation helps Taylor and buddies too. For instance, despite Taylor’s semi-disqualification as a UK company director, he can still act, perfectly legally, as a partner of a Limited Partnership. He appears not to want to, at the moment, but he could. With Limited Partnerships, it’s even worse, in fact: at least poor old overworked UK Company Investigations can push the courts to dissolve dubious and fraudulent LLPs and Limited Companies. They don’t have any such powers over Limited Partnerships. Being directly credited with driving the New Zealand government to strengthen its previously weak and negligent company registration processes by exposing multiple holes in a naively drafted Companies Act, Ian has moved on to work with more robust jurisdictions where corporate structures are truly protected by the laws that are designed to protect them, provided of course that they are used for reasons of legitimate jurisdictional diversification. I’m not convinced that the UK is one of those more robust jurisdictions, but Taylor is definitely here. As for “reasons of legitimate jurisdictional diversification”, KMA. The naivety to which Mr Taylor alludes centres on the idiotic expectation that companies directed by “straw men”, from a safe distance, on the other side of the planet, will be just as well-behaved as companies directed by accountable locals. New Zealand’s authorities grasp this, now; the UK’s still don’t. Post-Taylor, the Kiwis amended their “naively drafted” Companies Act to require companies to have a New Zealand resident director. Surveying Taylor’s overseas stooges, one wonders whether the equally naïve Brits should consider something similar for UK companies and partnerships. In New Zealand, the resulting extra accountability does seem to be working, mostly. Mostly: one niggle with the new NZ law is a concession allowing directors of Australian companies to count as equivalent to NZ resident directors. It happens that just around the time the new law was coming into effect, Taylor’s Queensland contact Peter Burslem (of Jet-Tech Industries of the billion dollar Moldova scam) registered, at a maildrop, a bunch of New Zealand Financial Services Providers with no genuine NZ presence, a very familiar sign of skulduggery. It remains to be seen how that particular little set of companies works out. One should be wary of cross-jurisdiction concessions. So there we are. Five years ago, the New Zealand Registrar shut down Taylor’s business and his shell companies. In the UK, Companies House and UK Company Investigations still don’t even know who he is and what he and his straw men are doing. It might be time to start finding out. Updated 12th Dec 2016: couldn’t resist the temptation to add the 2012 story, and the Co-Op. Updated 20th Feb 2017: the director disqualification regime does apply to designated members of Limited Liability Partnerships (but not to partners of Limited Partnerships). This tale is not a ‘movie’ — it’s a mini-series. Amazing piece. Just a glimpse under the rug covering enormous corruption is enough to make my head spin at the billions of dollars in play. THIS is what journalism looks like. I would suggest the place to start is with research on all those various Ian Taylors, and that that might usefully have preceded publication of this post. It may be a fairly common name in a country with a lot of descendants of Brits, and it is incumbent on the author not to bring trouble on innocent men. We have seen in this country some of what can happen when similar names are carelessly assumed to represent the same person. Disenfranchisement, wrongful arrest, personal condemnation by acquaintances are all possible, and even if only the last were involved it could cause a lot of trouble. Even if only two or three of the Ian Taylors in that list are distinct individuals, they deserve the courtesy of being removed from the list prior to publication. Informing a bloke with a lifetime’s experience of being called Smith that it’s easy to mix up people called Taylor isn’t a great start. Fingerwagging about my level of care, when I take such pains to document the similarities between all these Taylors, and am punctilious about what I claim about them, isn’t a great way to continue, either. It might be time for a quick rethink about who’s making careless assumptions. Every time I read one of these articles by Richard Smith, I am amazed. In the world I live, I cannot move from a country to another without a proper work contract from a real firm, founding a company requires me to have my id and signature certified, company officials must be resident of in the country, they must have physical access to the premises where the firm is registered, and I never even brush with those oligarchs who are so busy stashing their ill-gotten money overseas. It’s a bit squishy trying to figure out how much this all translates into in terms of ‘financial services’. This post is a bit of a pinhole into the reasons that financialization should not be included in GDP stats, or should at the very least be pulled out — to separate the revenues involved in money laundering from the revenues generated by actual, productive activity.